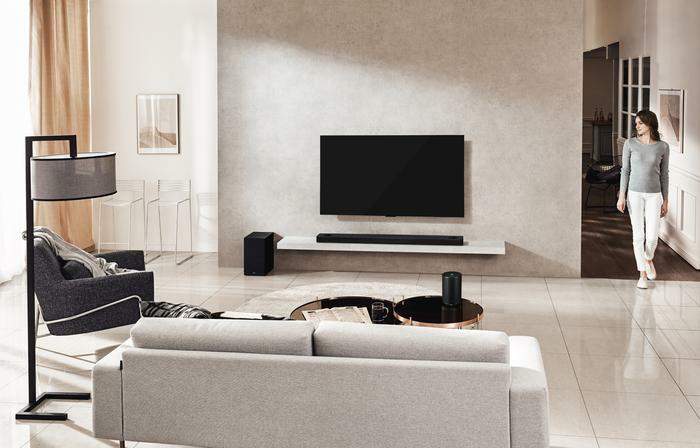 “We are continuing to push boundaries and this year, it’s through our new partnership with audio experts, Meridian,” said Angus Jones, General Manager of Marketing at LG Electronics Australia. “The integration of Meridian Audio into the range creates incredibly impactful and realistic sound and gives new meaning to what’s possible when it comes to audio experiences in the home." 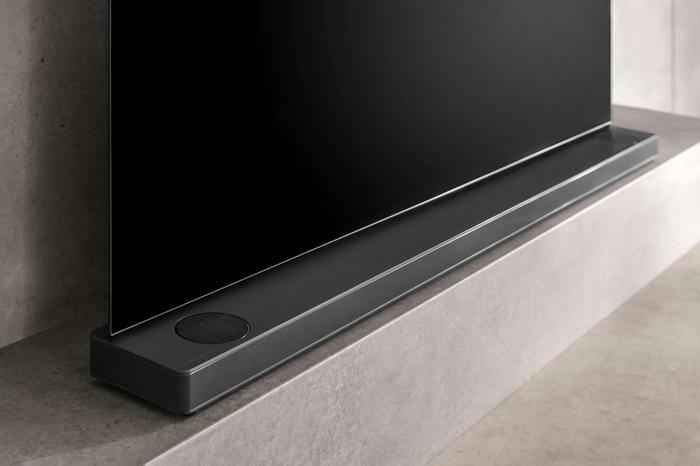 In terms of more-specific benefit the partnership will provide to consumers, the company say that Meridian’s Height Elevation technology raises sound above the speaker and the sound bar to the level of the screen, "bringing extra clarity to speech and music." First shown at this year's CES, the LG WK7 ThinQ speaker (seen above) promises all the functionality offered by the standard Google Home augmented by support for high resolution audio. 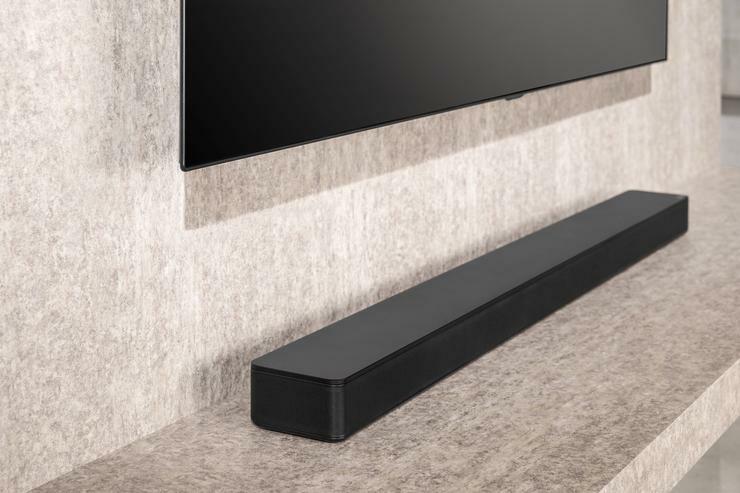 Then, LG say their SK10Y soundbar "delivers 550W of ground-breaking output and supports 5.1.2 channels by harnessing the combined power of Dolby Atmos and Meridian Audio technologies for the ultimate at-home cinematic sound experience." 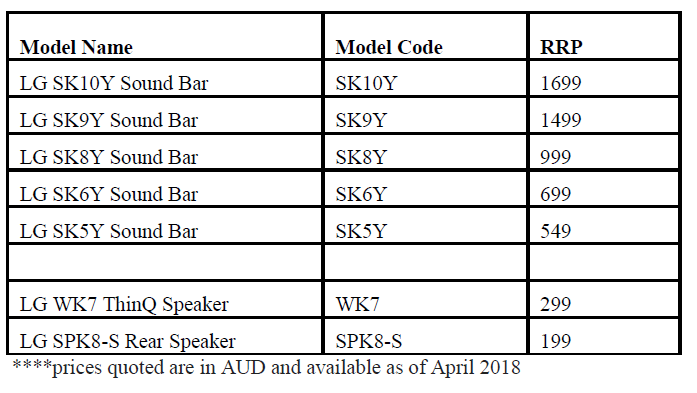 The SK10Y comes accompanied by the SK8Y and SK9Y soundbars, both of which support Dolby Atmos and High Resolution audio. 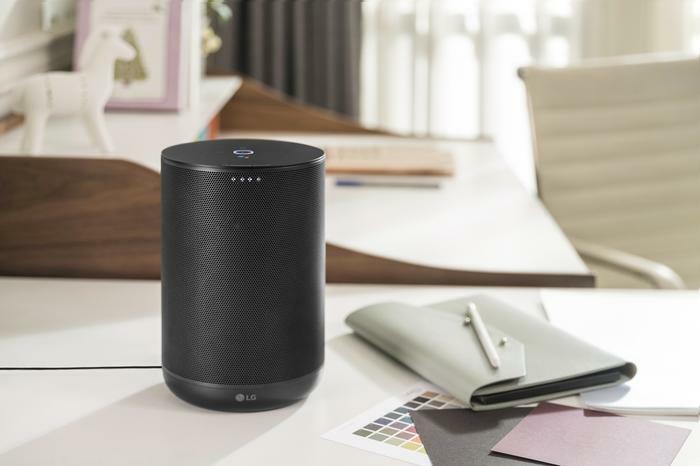 The former packs 360W of total power and incorporates an Adaptive Sound Control feature which LG say "automatically adjusts the sound setting according to what’s playing in order to provide exceptional sound experiences for listeners." The SK9Y then bumps things up to 500W and adds supports for 4K HDR Pass Through. A pair of optional rear speaker units is also available.